While having a destination wedding is certainly not a new trend, exclusive and exotic wedding locations are definitely pouring in. Tamarind Global Weddings will definitely familiarize you with the most popular wedding locations abroad and in India for your special day. Udaipur has always been one of the most popular locations to have a destination wedding in India. It provides a feeling of royal splendour with its rich heritage whilst keeping the natural beauty and vibration of Rajasthan intact. Some couples find Europe irresistible for their destination wedding. From cities like Budapest, perfect for an exclusive and elegant affair, to Vienna with its charming venues – destinations in Europe are sure to exceed your every expectation. Another always trending and easily accessible option is the Middle East with destinations like Doha (coming up in a big way, we’d like to add), Abu Dhabi, Ras Al Khaimah and other locations. This part of the world has always been popular for weddings because of the excellent weather, accessibility and hotel options. Food trends are now changing as fast as fashion trends and couples like to do things in a quirky style that stands out. 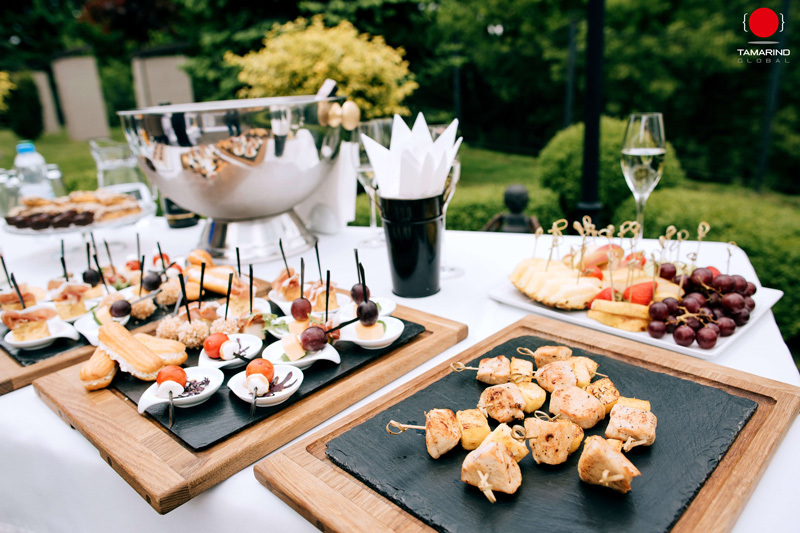 Luxury wedding planners will see to it that custom creations from interactive food stations such as miniature bites or ‘grazing tables’, organic and vegan food, DIY counters, doughnut walls and gourmet cheese counters are a huge part of a 2019 wedding. Artistic edible displays will also be a major favourite. When it comes to an open bar, the trend is to add twists and additions that will take your guests by surprise! This includes fun drinks like chocolate bombs, whiskey infused biscuits and mimosa to having exotic Tiki bars and Oriental themed bars. A detox bar is also a very sought after requirement. One trend that the best wedding planners in India are noticing is that, in a lot of cases, the decision makers are younger millennials. More and more couples want their weddings to be environmental sustainable, especially when it comes to decor, collateral printing and even couture. So that could mean using recycled items and locally sourced material for their wedding décor whilst cultivating a stylish vegan wardrobe. While metallic hues and graphic designs might be seen in some weddings, deeper colours like violet and velvet linens will definitely make bold statements this year. Of course, the main focus of wedding planning always falls on the bride and groom. But hospitality and personalization of the wedding experience for wedding guests will always be priority for the best wedding planners in India and can make or break the experience. Owing to its strong 35 year hospitality heritage, Tamarind Global Weddings maintains a high standard of logistics service and destination wedding management. This ensures that each guest has a seamless and smooth experience right from the airport and also makes everyone feel that their presence is valued. Well thought out wedding hampers containing edible wedding favours such as artisan olive oils, organic hot chocolate and organic honey have been a huge hit and can contribute to some uniqueness. 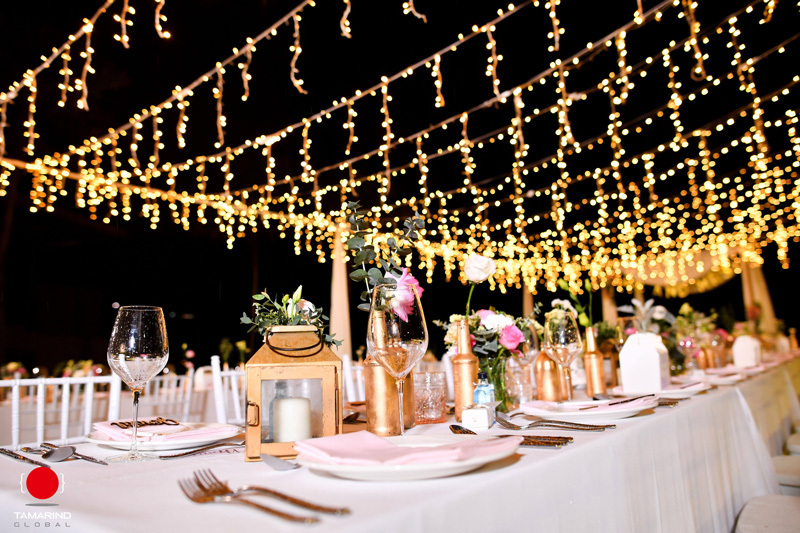 Personalized wedding favours such as monogrammed linen, silverware and customized leather items always go a long way in making each guest feel special. These are some of the trends that we’re really excited for in 2019. At Tamarind Global Weddings, creating the happiest and most special moments for couples tying the knot is an honour. We combine this responsibility with simultaneous execution of the latest trends so that your dream wedding materializes exactly the way you want it to. Read on to find out some of the best destination wedding locations to have your dream wedding this year!